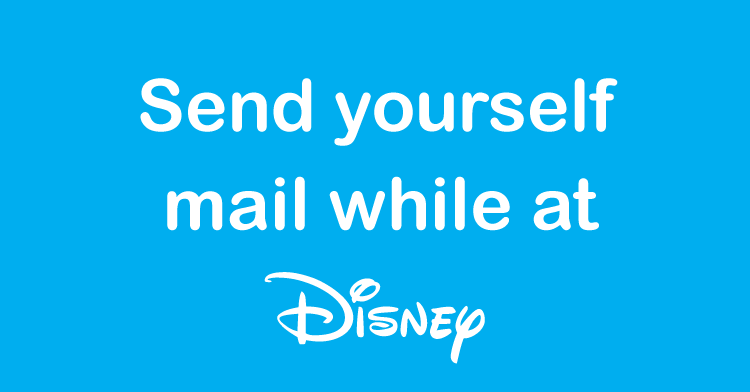 There are times that you may need to mail yourself something while at Walt Disney World. Many people send stuff to themselves from home to save on baggage weight or just plain baggage, or they may order bottled water or diapers or some other staple in advance so it is waiting for them upon arrival. I have also order books and other things from Amazon that I wanted delivered to me during my stay. Please note that a $5 per package handling fee may apply to all packages that are received through the Front Desk or are delivered to your Disney Resort hotel room. However, when deciding if you want to mail stuff to yourself, remember that $5 per package handling fee. I have had to pay the fee at several Deluxe resorts, though my understanding is that many of the Value and Moderate resorts are a bit more lax on charging a fee. By the way, you can also send packages to yourself at any of the Disneyland Resort hotels too by using the same address format listed above.